Active Citizens is a non-profit programme that promotes community cohesion and improvement through civic engagement or volunteering in 38 countries including Bangladesh, Pakistan, India and Sri Lanka in South Asia region. Run by the British Council and partner organisations, it aims to increase the contribution of community leaders towards achieving sustainable development both locally and globally. It also encourages peer-to-peer relations across cultural, geographic and political boundaries via a lively online social network of participants, as well as occasional international exchange visits. 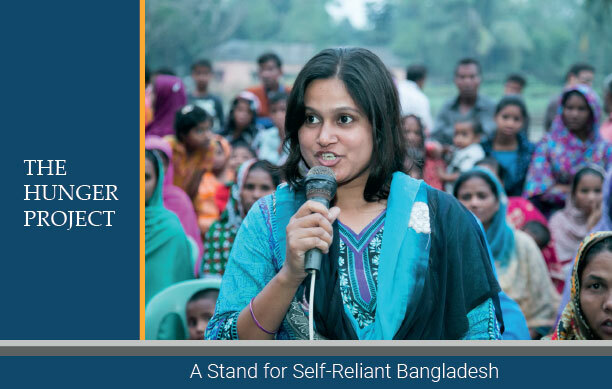 Active Citizens was launched in Bangladesh in 2009 in partnership with The Hunger Project Bangladesh. Eight other organisations, Democracy Watch, Centre for Communication and Development (CCD), Mass line Media Communication (MCC), Jaago Foundation, Voluntary Services Organisation (VSO, Uttaran, Wave Foundation, and Shushilon joined in this project as partners between 2011 and 2013.